Disconnect the 2 wire clamps and engine wire. Remove the bolt, and pull out the ignition coil (with igniter). 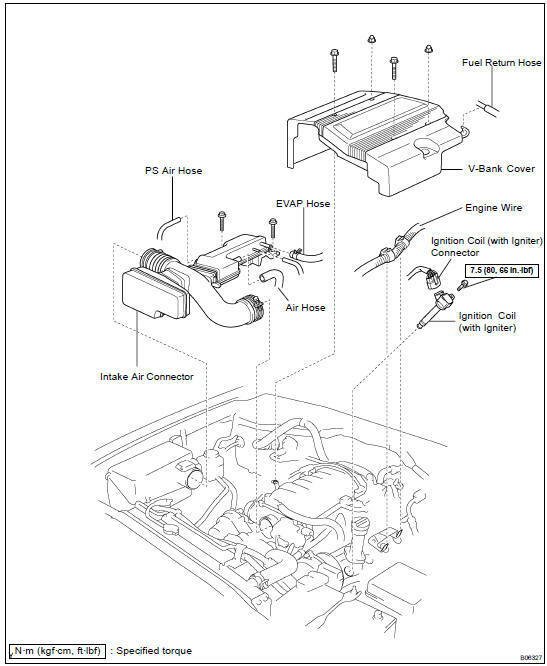 Remove the 8 ignition coils (with igniter).